Glycerin: conditions and moisturizes teats for improved milking. 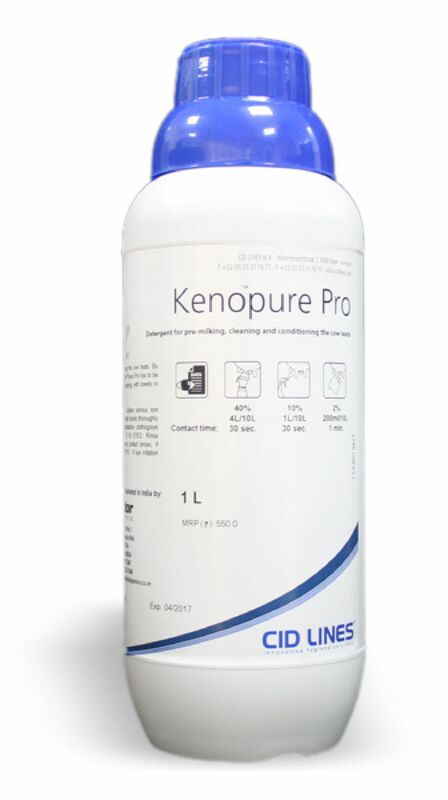 KenoTMpure Pro application encourages the release of oxytocin that stimulates milk let down. New technology film forming dip for full protection. 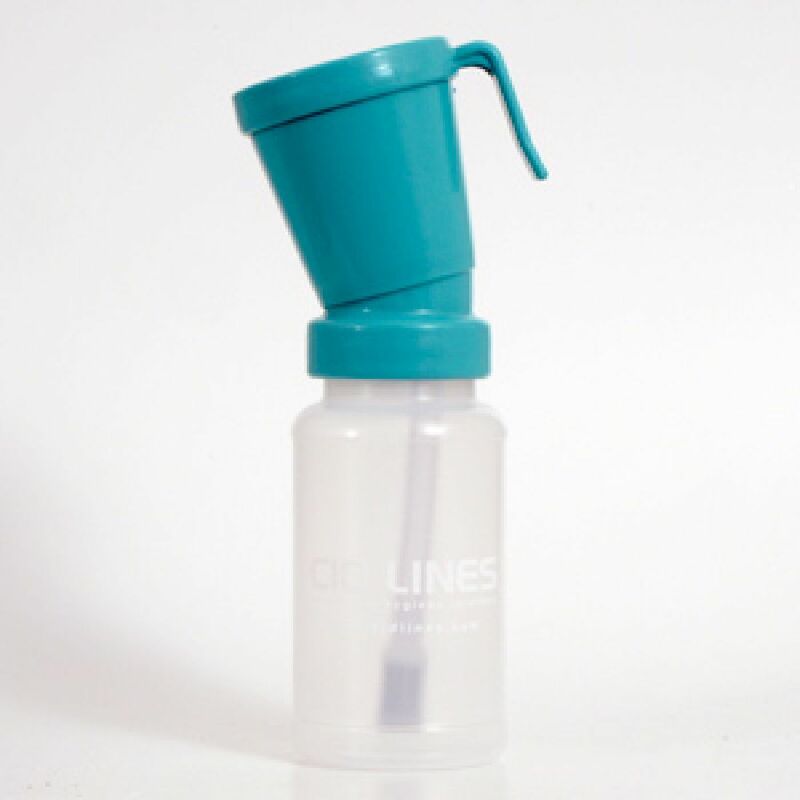 Based on a unique chlorhexidine digluconate barrier for powerful activity. Menthae arvensis brings healing and anti-inflammatory properties for better cow comfort. 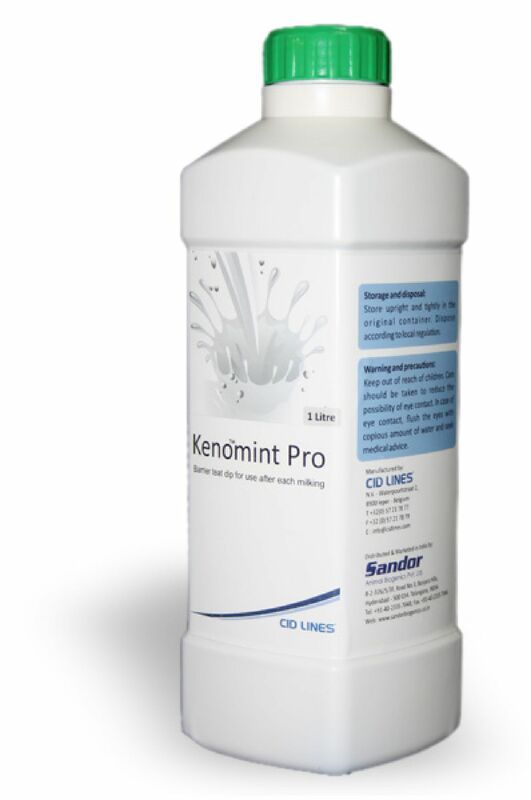 Active plugging: Keno™mint Pro covers the end of the teat canal creating an efficient barrier. Efficacy against mastitis causing bacteria. Disinfectant based on active stabilized peracetic acid. 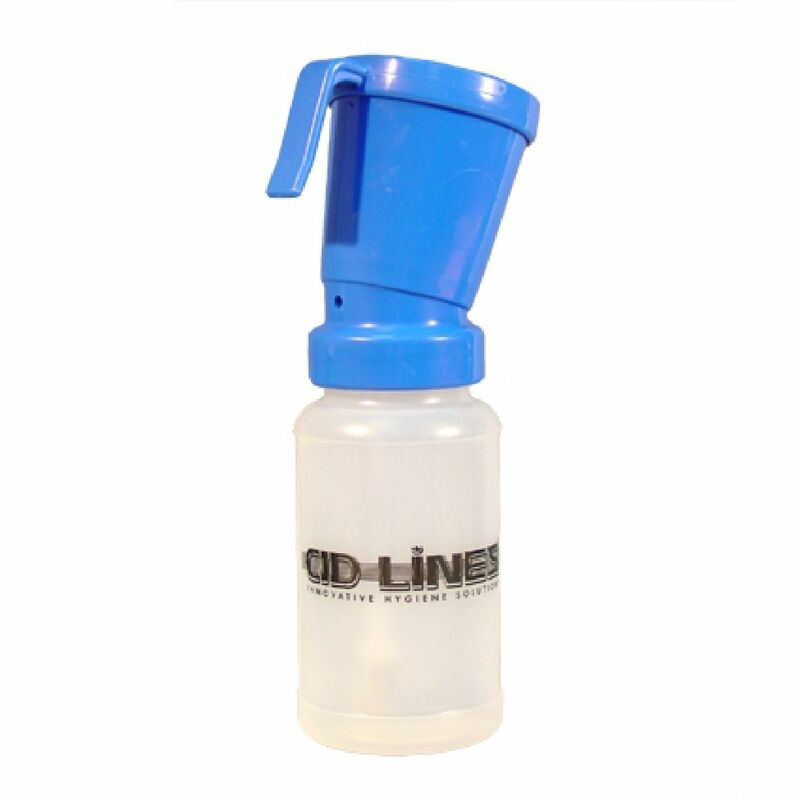 Ideal for those circumstances where chlorine cannot be used and foam is not welcome. It is also used for disinfection of the brushes in your milking robot. 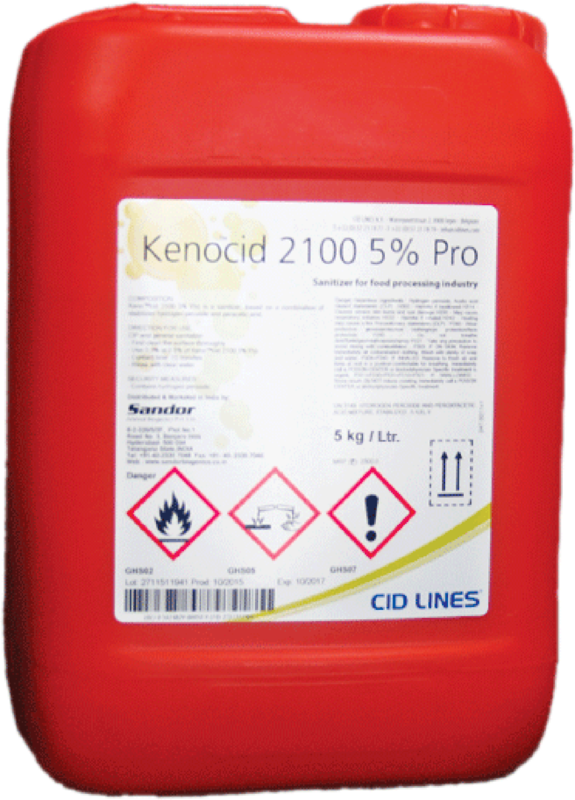 KENO® CID 2100 5% is based on hydrogenperoxide (appr. 20%), peracetic acid (appr. 5%). 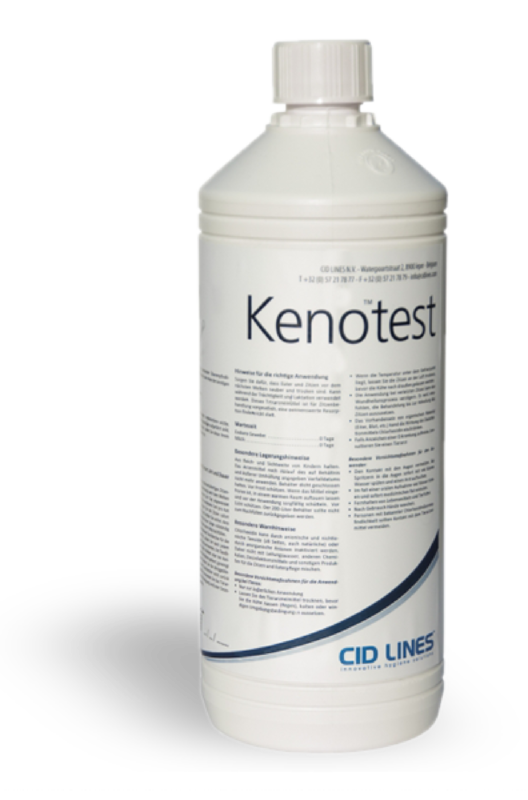 KENO® CID 2100 5% is a strong oxidizer. KenoTMtest is the perfect indicator for rapid detection of subclinical mastitis. Based on the C.M.T. (California mastitis test) method, it gives a semi quantitative indication of the level of somatic cells present in the milk. To be used with the special test-pallet. 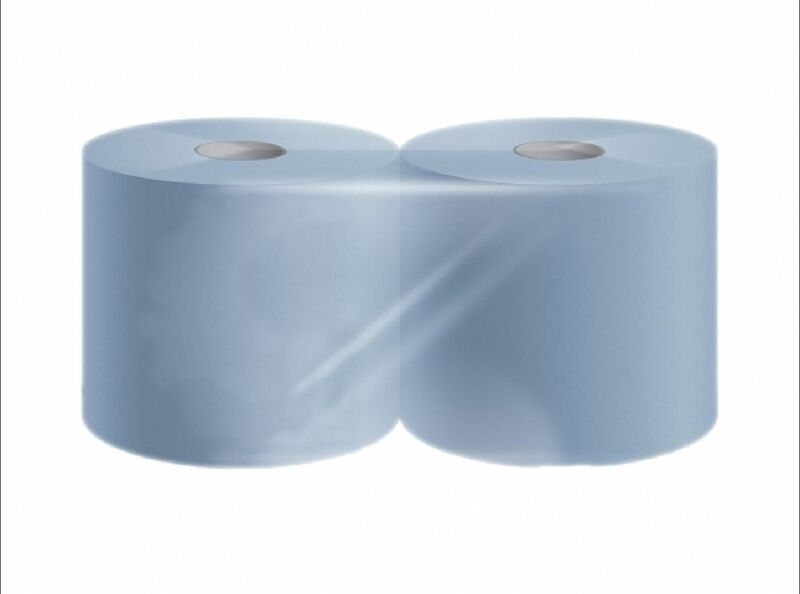 It is available in 1 L.
Pre milking paper is used to wipe teats when pre dip solution-Kenopure (foam) is applied on teats. One roll of pre milking paper contains 1000 sheets of paper and one sheet of paper is used for one cow. Foam cup is an applicator used for Kenopure Pro (pre milking solution) mixed with water to create foam for washing of teats before milking. It is specially designed with air inlet so that foam can be made. It is made in Europe. Dip cup is another applicator for using Kenomint Pro (post milking solution) on teats after milking. The solution Kenomint is applied directly on cow teats to cover the sphincter of teats to avoid entry of external bacteria that may cause mastitis. The dip cup is made of good quality plastic.